Avoid the same costly mistakes most LMS buyers make by employing these expert tips and learn how to guarantee project funding. 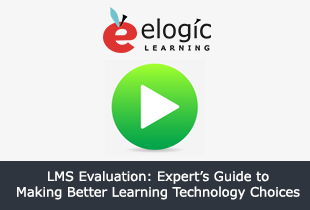 In this webinar, John Leh, Lead Analyst and CEO of Talented Learning, and Aaron Olney, VP of Sales and Marketing for eLogic Learning, discuss their top tips in order to avoid costly pitfalls and help you improve every step of your LMS analysis. See why 2017 is a buyer's market. Understand the LMS buying cycle. How to guarantee your LMS project gets funded. Which selection factors matter most, and why.